HIGH POINT, N.C., Feb. 15, 2018 – A High Point University Poll finds a majority of North Carolinians would like Joe Biden to run for president in 2020 with no other candidate enjoying the same support, including celebrities such as Oprah Winfrey. Meanwhile, there is a statistical tie on the generic congressional ballot that asks about support for Republican or Democrat candidates for the U.S. House of Representatives. 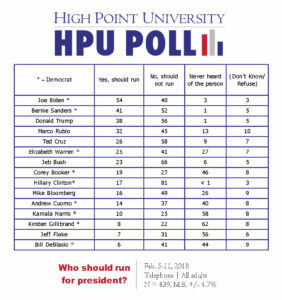 The new HPU Poll asked registered voters and all adult North Carolinians if a list of possible candidates should run for president in 2020. The following results focus on all adults, however, results for both groups are provided on the following pages. Former Vice President Joe Biden received support from 54 percent of the respondents, while Vermont Sen. Bernie Sanders, who ran in the Democratic presidential primaries in 2016, was second among possible challengers to President Donald Trump with support from 41 percent of North Carolinians. Other Democrats such as Massachusetts Sen. Elizabeth Warren (25 percent) and New Jersey Sen. Corey Booker (19 percent) received far less encouragement. The 2016 presidential nominee, Hillary Clinton, received very little support with only 17 percent of North Carolina residents saying she should run and more than four out of five (81 percent) saying that she should not run. Other possible Democratic candidates may suffer from relatively low name recognition. Forty percent or more of North Carolinians say they have never heard of New York Gov. Andrew Cuomo (40 percent), Corey Booker (46 percent), California Sen. Kamala Harris (58 percent), New York Sen. Kirsten Gillibrand (62 percent), and New York City Mayor Bill DeBlasio (44 percent). There also is not a groundswell of support for any of the nonpoliticians mentioned in the HPU Poll. Less than one-third (31 percent) of North Carolinians say Oprah Winfrey should run for president, while almost two-thirds (66 percent) specifically say she should not run. Similarly, few North Carolina residents support other nonpoliticians mentioned in media reports as possible candidates like former professional wrestler and actor Dwayne “The Rock” Johnson (27 percent), internet billionaire and television star Mark Cuban (19 percent), Facebook founder Mark Zuckerberg (15 percent), and Amazon founder Jeff Bezos (7 percent). While less than a majority (38 percent) of North Carolinians say that they think President Donald Trump should run for re-election, there are no other Republicans tested in the HPU Poll that received more support. Past presidential candidates such as 2016 contenders Florida Sen. Marco Rubio (32 percent), Texas Sen. Ted Cruz (26 percent), and former Florida Gov. Jeb Bush (23 percent) do not receive much support from North Carolina residents. Former New York City Mayor Mike Bloomberg (16 percent) and Arizona Sen. Jeff Flake (7 percent) — both mentioned in media reports as possible candidates in 2020 — do not receive much encouragement to run for president. There also appears to be nearly equal support among North Carolina residents for Republican and Democratic candidates for U.S. House of Representatives. The so-called generic congressional ballot finds 39 percent of North Carolina residents say they would vote for a Democrat for U.S. House, and 38 percent would vote for a Republican candidate. 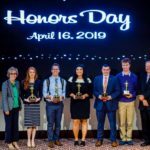 When the HPU Poll examines just those who say they are registered to vote, 40 percent say they would vote for a Republican candidate, and 39 percent say they would vote for a Democrat. 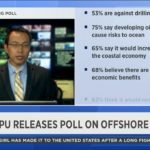 The most recent HPU Poll was fielded by live interviewers at the High Point University Survey Research Center calling on Feb. 5-11, 2018. The responses from a sample of all North Carolina counties came from 439 adults with landline or cellular telephones. The registered voter subsample relied on responses from the participants about their own registration status and yielded a total of 364 respondents. The Survey Research Center contracted with Survey Sampling International to acquire this sample. The survey has an estimated margin of sampling error of approximately 4.7 percentage points for all adult respondents and an approximate margin of sampling error of 5.1 percent for the self-described registered voters. The data is weighted toward population estimates for cellular and landline telephone use, age, gender, race, and education level based on U.S. Census numbers for North Carolina. In addition to sampling error, factors such as question wording and other methodological choices in conducting survey research can introduce additional error into the findings of opinion polls. Details from this survey are available at http://www.highpoint.edu/src/files/2018/02/56memoA.pdf.